For some, the challenge of balancing schoolwork with the physical demands of being a college athlete often can be too much to handle. That is not the case for University of South Dakota senior track runner Alexa Duling. 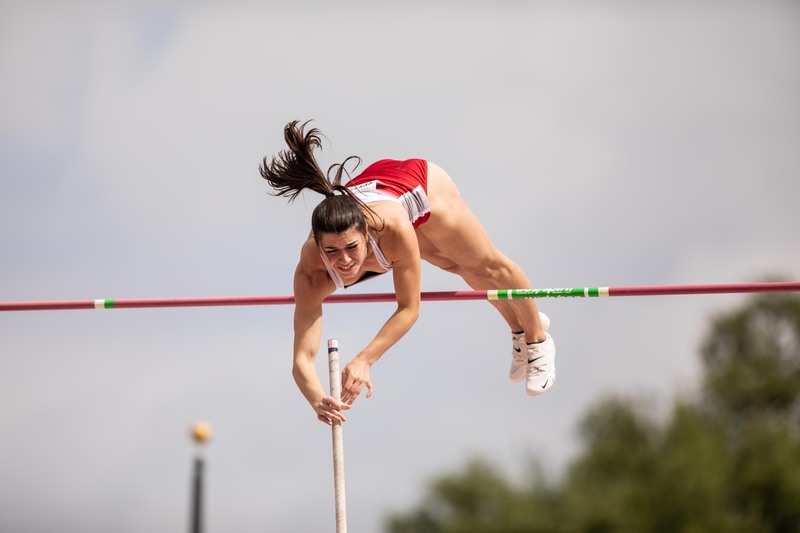 This August Duling was recognized for her ability to shine on and off the track, when she was named the 2010-11 Great West Conference Female Scholar-Athlete of the Year. This award is the highest individual honor a student athlete of the GWC can receive and head girls track, and field coach Lucky Huber said Duling is more than qualified to be held at such high esteem. “I think it is good to recognize someone who works as hard as Duling does,” Huber explained. “Because Duling does not do it for the awards, and it is great that she can be recognized for her success in this way. Duling said to just be considered was an honor all on its own. Among the other highlights of Duling’s junior track season was the setting of the USD 400-meter hurdles school record at the Mount San Antonio College Relays in April. Duling set the school record with a time of 1:00.15. In addition to the Scholar-Athlete of the Year award, this year Duling was named to both the GWC Academic All-Conference team in indoor and outdoor track, and first team Academic All-District. Off of the track Duling is a biology major, with the hopes of one day becoming a physician on a Native American reservation or smaller community.